Our range of products include bulk handling conveyors and truck loading conveyors. We have emerged as the foremost manufacturer and supplier of Trough Conveyors. Extensively used in different industries, offered conveyors are manufactured using quality tested components and innovative technology. The provided conveyors are checked against different quality measures so as to ensure their quality. 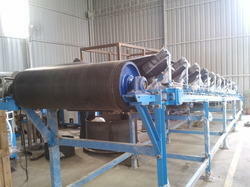 In addition to this, these conveyors are available in various sizes and designs as per the demands of our clients. With or without covers (rain, dust cover). Metal detectors are optionally possible. In order to meet the specific requirements of the clients, we manufacture and supply a wide range of Truck Loading Conveyors. 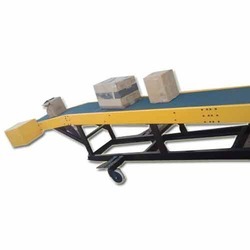 Our range of Truck Loading Conveyor is reckoned amongst the clients for its durability and sturdiness. Customers can avail our range at market leading rates via easy payment modes. Known for its fine sheen and optimal performance, our range of Truck Loading Conveyor has become the favored choice of our clients. Our range can be availed in varied sizes and specifications, thereby rendering utmost satisfaction to the customers. Looking for Trough Conveyors ?